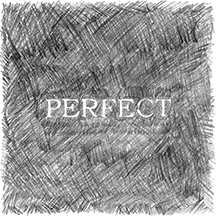 “Perfect” is a joint EP by Turnbull Green and Caspar Sonnet, released by Take A Record on January 11, 2018. Turnbull Green’s Ian Newman wrote all of the songs (with the exception of “Only to Bleed, co-written by the two), which were recorded by Caspar Sonnet in Korea Town, Los Angeles. Both collaborated earlier on Turnbull Green’s EP "Jensen’s Recreation" co-released on Take A Record / Papermade Records in 2015 which resulted in the two re-interpreting most of the albums music along with the song “Girl Material” featured on Turnbull Greens debut LP "The Wolf In You" co-released on Take A Record / Daylight Curfew in 2013.